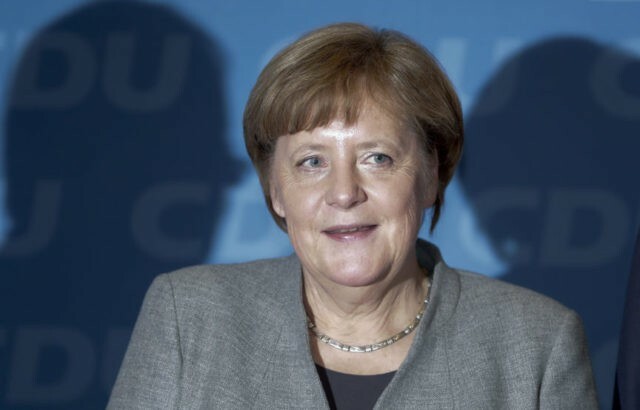 BERLIN (AP) — German Chancellor Angela Merkel can finally get down to formal negotiations on a new government after her prospective partners gave a hesitant green light. But while she can celebrate a breakthrough in efforts to end an impasse that has dragged on for nearly four months, it’s still unclear how soon — and indeed whether — a new coalition of her conservative Union bloc and the center-left Social Democrats will take office. Negotiations between Merkel’s Christian Democratic Union, its Bavaria-only sister, the Christian Social Union, and the Social Democrats are likely to start this week, though there’s no timetable yet. They could last a few weeks. If they result in a coalition agreement, that will be submitted to a ballot of the more than 440,000-strong membership of the Social Democrats, which will take about three weeks. Only if it approves the deal can the new coalition government take office, with parliament electing Merkel for a fourth term. Volker Kauder, the head of the Union’s parliamentary group, says he hopes the new government can be formed in late February or early March. That may be optimistic. Merkel has run a caretaker government since late October. While that poses no problems for day-to-day business, it means that Germany — the European Union’s most populous member — isn’t currently in a position to launch major initiatives or play any significant role in the debate on the EU’s future, led so far by French President Emmanuel Macron. The negotiations will build on a preliminary agreement reached Jan. 12 after a week of wrangling, filling it out into a detailed coalition deal. The initial agreement includes pledges to strengthen the EU, hire more police officers and judicial officials and guarantee the current level of pensions through 2025, among other things. It also suggests that Germany will keep a lid on the number of migrants entering the country. The Social Democrats hope to win more concessions on some issues already discussed: their hard-won approval at a congress Sunday for moving on to formal coalition talks was helped by pledges to seek more palatable compromises on matters such as health policy and the right of migrants’ families to join them in Germany. Plenty. Many conservatives are making clear that they’re not interested in any substantial renegotiation of the preliminary agreement. Schulz, however, needs to build a strong case to win over his party’s membership after only 56 percent of delegates Sunday approved opening negotiations. Meanwhile, vocal opponents in his party of extending the past four years’ “grand coalition” of Germany’s biggest parties are vowing to continue their campaign. And Bavaria’s CSU — which like the Social Democrats performed very poorly in September’s election — is determined to make its own conservative mark on a new government as it prepares for a difficult Bavarian state election in October. Failure either in the coalition talks or in the Social Democrats’ membership ballot would leave a conservative minority government or, more likely, a new election as the only options. A new election could be bad news for all concerned — particularly the Social Democrats, who already hit a post-World War II low in September’s vote.